In today’s Cambridge Independent, Permanent Rail Engineering director Gareth Dennis spoke about the Cambridgeshire Autonomous Metro (CAM), and why he doesn’t think it is the right answer for the region’s transport challenges. In the interview, Gareth points out some of the challenges that the proposed scheme faces, and describes the process of its selection as "pretty shaky". "Even if Cambridgeshire can justify its own mass transit system, excluding cars from the city streets and enabling a free-flowing light rail system would be much quicker to build and more cost-effective." 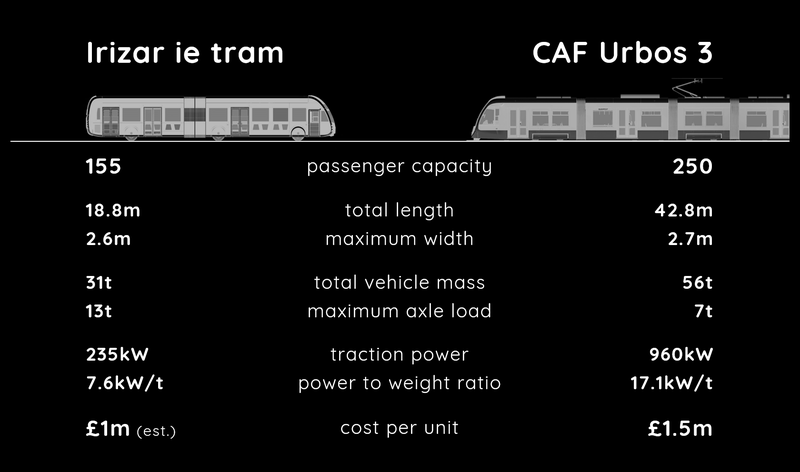 "When I consider a transport system, the first thing I look at is its capacity. That defines how resilient your system needs to be." "The service provision through the central section is 36 buses per hour, which is an incredible intensive service. That’s comparable to the London Underground. To suggest a bus can run at that level of frequency – immediately you raise an eyebrow because all of a sudden you’ve got to have a very resilient timetable, lots of drivers, and that infrastructure has to be really good." Whilst we always advocate for sustainable transport investment, the most substantial solution isn’t necessarily the appropriate one. Given the scale of the proposed tunnelling, and their associated cost, we support a quicker, leaner approach that tackles motor traffic congestion head-on. This requires politicians to actively exclude motorised traffic from the city centre, though. "The issue is the unwillingness to relinquish the streets to pedestrians and trams. The reduction in pollution from not having motorised traffic would be huge. It feels like a no-brainer to me. Building clean transport is the perfect excuse to improve air quality in the centre of the city and to enable more pedestrians and cyclists." Chris Rand, a spokesperson for Smarter Transport Cambridge, agrees, and confirms our director’s earlier suggestion that there are other built-up areas in the UK worthy of multi-billion-pound transport investment that are in more desperate need of mass transit systems. Cities such as Leeds, Bristol, Cardiff and Belfast are all long-overdue their own high-capacity urban transport systems. Building clean transport is the perfect excuse to improve air quality in the centre of the city and to enable more pedestrians and cyclists. We fully endorse the recommendations of Smarter Cambridge Transport, i.e. that a series of smaller interventions would greatly reduce Cambridgeshire’s congestion problems in the short-term. These would include improvements in the specification and procurement of bus services, integrated ticketing across modes within the region, and the exclusion of motorised private vehicles in the city centre. In the longer-term, though, a dedicated mass transit system may be worthy of proper consideration, alongside the extension of Great Northern suburban services along a reopened railway to Huntingdon. However, we strongly believe that the CAM proposal is not the right one to progress. If you want to discuss any of the issues raised in this article, please get in touch on Twitter via @PermanentRail or by email at contact@permanentrail.co.uk. I'm quoted on the front page of the @CambridgeIndy today (and alongside @ChrisRandWrites in the double-spread), talking about the flaws in the misleadingly-named Cambridgeshire Autonomous Metro. Cambridgeshire & Peterborough Combined Authority press release: "Key study into Cambridgeshire Metro finds ‘compelling case’ to move forward with transformational scheme"